Be immersed in Vietnam’s kaleidoscope of culture and nature on an insightful family holiday. Live like a local in rural Ky Son and witness traditional hilltribe customs in Mai Chau Valley. Get back to nature with a trip through Cuc Phuong National Park and an in-depth cruise of Halong Bay. 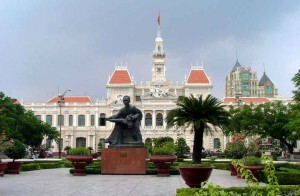 Upon arrival to Hanoi, our guide and driver will be waiting to provide transport to the hotel for check in. After checking in to the hotel, enjoy the remainder of the day free at leisure. Begin the day with a visit to Bat Trang pottery village, located just east of Hanoi. Famous for its blue and white pottery, the production of ceramics is very much a community-wide profession here and the main street is lined with pottery shops. Embark on a buffalo cart ride through the villages, visiting a workshop where items can be hand painted and brought home. 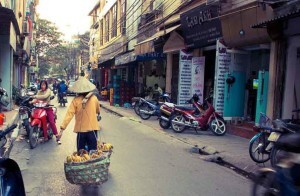 Return to Hanoi for lunch and “dine for a cause” at KOTO restaurant. KOTO, or “Know One Teach One”, is supported by the NGO Street Voices and is dedicated to offering a brighter future to disadvantaged youth in Vietnam. The youth in the KOTO training program study hospitality, English language and life skills while gaining essential work experience training at KOTO restaurant. After lunch, take a tour of the city’s Ethnology Museum (closed on Mondays) to learn about the 54 recognised ethnic groups of Vietnam. Wander freely into long houses, stilt houses and traditional Vietnamese houses, amongst others, learning how different ethnic groups live. End the afternoon with a “swan” paddle boat on Truc Bach Lake which is a favourite Hanoian pastime. Afterwards, taste some to Hanoi’s best ice cream – the legacy of the French in Vietnam. This evening watch a traditional water puppet show, a uniquely northern Vietnamese art form especially designed for depicting scenes from rural life and episodes of national history. After breakfast, drive 1 hour northwest of Hanoi for two nights in a unique home stay reconstructed from authentic Thai Binh and Mai Chau province buildings set in the fertile Tonkinese valley next to the village of Ky Son. En route, visit the iconic Thay pagoda and two interesting handicraft villages to learn how Buddhist statuary and vermicelli noodles are made (optional). Upon arrival, enjoy exploring the traditional structures and bucolic land that comprise this lovely property before heading into the kitchen for a cooking class. Learn from the proprietress how to make sumptuous Vietnamese food and enjoy it later for lunch! 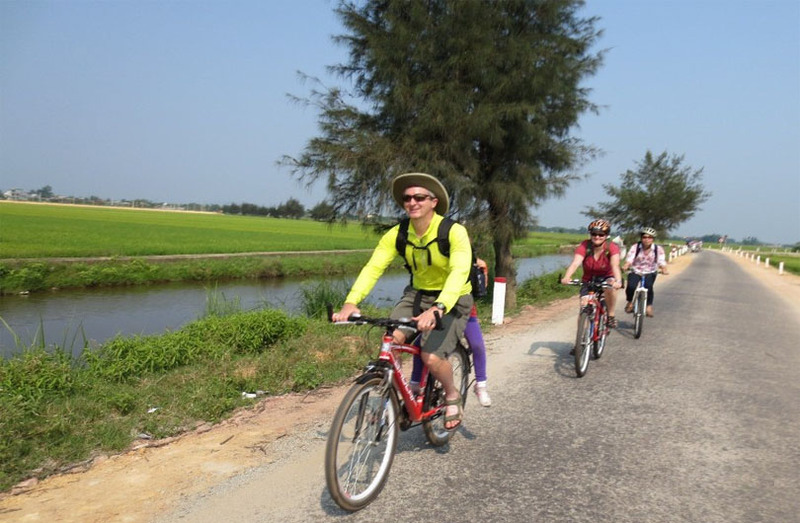 After lunch, relax or take a leisurely bicycle ride or casual walk to discover the Ky Son, Tam Son and Van Minh farming communities. Stop for tea at a local house and chat with locals about their daily life and farming. Help with plowing, making rice beds, transplanting seedlings or harvesting rice, cassava, corn, or sweet potatoes depending on the harvest season. Collect tea and medicinal herbs to use back at the home stay. Return to the home stay for happy hour trying local tisane and a traditional steam bath with the fragrant herbs gathered before dinner. Overnight in Ky Son Village. Wake up early to join in Yijinjing exercises and traditional Vietnamese worship customs honouring ancestors with morning rituals. 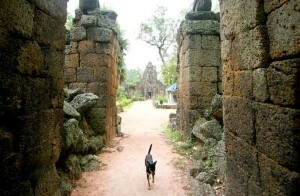 After breakfast, drive or cycle 4 km to Duong Lam Ancient village to explore an intact traditional ancient village and have lunch in an authentic local house. After lunch, continue on to Mia Pagoda, explore small hamlets and slowly wend back to Ky Son. In the late afternoon, enjoy free time to luxuriate in stunning natural surroundings. Relax in a garden hammock, take pictures in traditional Vietnamese garb or fish until dinner! Plowing rice fields with a Water Buffalo learning an ancient tradition of working with the animal using Vietnamese commands can be arranged prior in certain seasons. 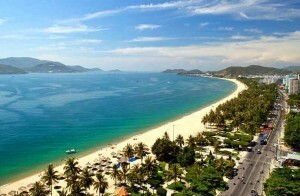 Vietnam’s northwest is still relatively untouched. Beautiful scenery and idyllic villages make travel through these fertile valleys and snaking mountain passes memorable. After breakfast, say goodbye to your gracious hostess and travel approximately 2 hours to the lush Mai Chau valley. Arrive in the picturesque Mai Chau Valley surrounded by spectacular karst rock formations and rice paddies. Upon arrival, check into the hotel. Around noontime, a local lunch will be served. Spend the afternoon exploring the idyllic natural surroundings including the extraordinary Mo Luong (Soldier) cave across from the lodge or explore handicraft shops set amongst intriguing Mai Chau stilt houses in Poom Coong. Enjoy dinner and a performance of ethnic Thai music and dance at a local home. The Thai ethnic group has inhabited this area for centuries and much of their lifestyle and traditions have remained untouched over the years. Start this morning with a light trek through the Mai Chau Valley to interact with the local tribes people. Enjoy lunch in the home of a Thai family to learn a bit more about their lifestyles. 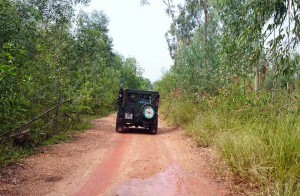 Choose to return to Mai Chau lodge by foot or by vehicle. Enjoy the afternoon at leisure with many options available to while away time. Explore the valley floor by bicycle, kayak on a nearby peaceful lake taking in the magnificent scenery, visit a handicraft co-operative supporting local livelihoods, learn how to use a loom to make beautiful woven scarves or try a rock climbing class. Tonight, stay in a traditional Thai stilt house, an incredibly enriching experience providing an opportunity to learn about this fascinating culture firsthand. The home stay accommodation consists of comfortable curtained-off sleeping areas in one long room; all bedding and mosquito nets are provided along with a home cooked Vietnamese meal. An extra night at Mai Chau Lodge is available instead, with a home cooked meal only at the home stay to interact with locals over a meal. Also, the home stay can occur on the first night clients arrive in Mai Chau; then overnight in the lodge on the second night. After a leisurely breakfast, depart Mai Chau for a countryside drive through Ninh Binh province where fascinating limestone karsts jut forth between verdant rice paddies and lazy rivers. Stop along the way for photographs before ending up at tonight’s accommodations in picturesque surroundings. Set in delightful gardens surrounded by stunning landscapes, this villa-style resort is decorated with traditional Vietnamese architectural elements and furnishings. Exquisite natural surroundings and three outdoor swimming pools offer ample opportunities to explore and enjoy outdoors while an indoor swimming pool offers family fun without concern for the weather! Eight spa treatment rooms, a gym, spa and sauna create an atmosphere of pampering and relaxation. Perfect for families. A stop at Cuc Phuong National Park (Vietnam’s first national park) is an interesting way to break up the long drive from Mai Chau to Ninh Binh and is one of the few remaining tropical rain forests left in the country. Hundreds of species of animals and plants can be found here, including several endangered species. In April and May, visitors may see some of the millions of butterflies that breed here. Depart Ninh Binh at 07:30 for Halong Bay, driving through Thai Binh province. Though situated in the centre of the Red River Delta, Thai Binh has been considered an “island” bounded by three large rivers and is the only province never to have been merged or separated. This give the people of Thai Binh a very distinct culture where people are noted for their practical and clever characters. Head to Halong Bay, a designated world heritage site known for its limestone rock formations, home to about 2,000 islets and breathtaking scenery. Arrive Tuan Chau pier mid-morning to check in for the cruise. Embark on a cruise experiencing the amazing scenery of Halong Bay and southern Lan Ha Bay in the Gulf of Tonkin. 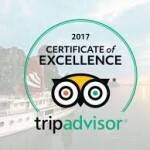 Tranquility and nature abound while cruising through famous spots such as Me Cung cave, Titov island, and Ho Ba Ham islet. Once anchored, take a refreshing swim in emerald waters or a guided kayak tour to learn about the surroundings. 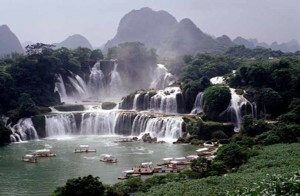 Cat Ba Island is famous for its national park and endangered langurs. The island is the largest in the Gulf of Tonkin and is covered by a dense rainforest home to numerous indigenous species of flora and fauna. Spend time walking or cycling exploring this natural paradise. Visit an organic farm responsible for the majority of produce onboard. Reboard and sail to Bai Tu Long Bay, east of Halong, which will be the most remote area of the voyage. Geological rock formations create an impressive other-worldly atmosphere. Enjoy a relaxing rowboat tour through the village of Vung Vieng and head into the bay’s geological park for some amazing photo opportunities. After breakfast on board, wind back towards port, cruising along more iconic limestone formations. After disembarking, transport will be provided to Haiphong for an afternoon departing flight.